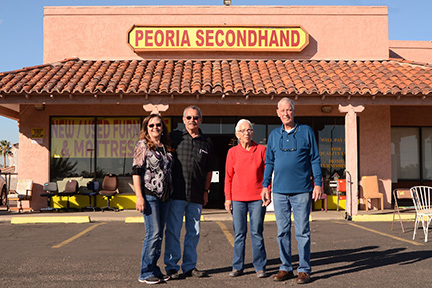 Russ & Teri are the new proud owners of Peoria Secondhand Furniture, we invite you to stop by our location and see our always changing inventory of new and used furniture, home furnishings, mattresses and collectables. We offer a 30 day warranty on electronic items. 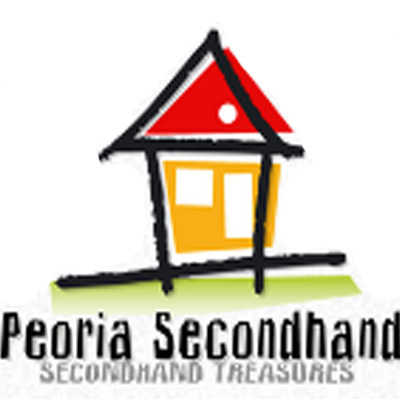 We are here 6 days a week offering great treasures at great prices. Come on in to make a purchase or just chat, the doors are always open! Sharing the parking lot with Goodwill, we are located just North at 8525 W Grand Ave. Suite 10 Peoria AZ 85345. Like the sign on the door says "Get In Here"
If you have used furniture or home furnishings you would like to sell or consign, make us your first call!